WATSKY released his fourth album, “COMPLAINT” on Jan. 11, 2019. “COMPLAINT” is essentially a love story, which tells of all the ups and downs that come with love — focusing on the beauty of it all. Of course, we know the good in love wouldn’t be the same without the bad. I found the theme to be a shock coming from WATSKY, considering love can come off as cheap in the music industry. I had not been surprised to find that he put his own unique spin on the traditionally overused subject matter. WATSKY released the first song on the track, “Welcome to the Family,” as a single back in Aug. 3, 2018 after a two-year hiatus from officially making new music — at least for the public. Prior to release day of the new single, WATSKY confessed to Instagram the excitement and nervousness that comes with pouring a piece of himself into the world to be appreciated, loved and criticized. WATSKY listed all he had been up to during his absence — number one on the list was ‘falling in love,’ which comes as no surprise. WATSKY released the second track on the album, “All Like Whatever,” on Sep. 14, 2018 as a single as well. 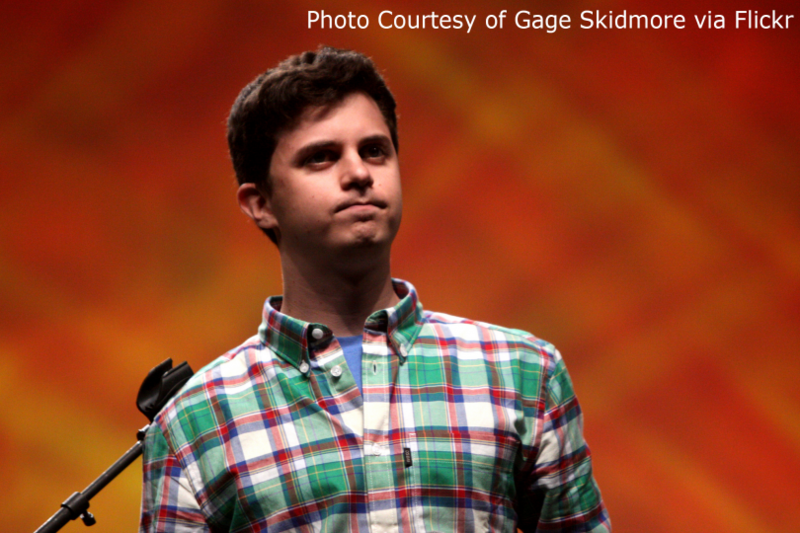 In the track, WATSKY delivers a sarcastic tone regarding love which emulates an oldie but a goodie, “A Hundred Words You Could Say Instead of Swag,” but without the heavy focus on rapping. Much of “COMPLAINT” showcases a bit more of another item on the list in his Instagram post mentioned earlier, ‘taking singing lessons.’ WATSKY seemed to have gained confidence in his vocal ability and uses “COMPLAINT” to experiment with his strengthened talent. “What Goes Up” is the third track, which explores the ‘ups’ in a relationship — the excitement, the good and the honeymoon phase. While the chorus echoes, “what goes up can stay,” the slow tempo and somber key suggests a nostalgia for playing hooky with his honey and the truth that what goes up really can’t stay. “What Goes Up” and “F*** It Up” are both heavily layered with autotune, which is a fun tool to play with and slightly shifts the overall tone of the album from the original classification of WATSKY as alternative hip-hop. Originally engineered to sound like ‘futuristic pop’ in the late 1990s, its use in these two tracks adds a layer of a fantastical and dreamy tone for the story each track tells. WATSKY released “Mean A** Drunk,” the fifth track on the album, on Nov. 15, 2018 as the third single before “COMPLAINT” made its debut. “Mean A** Drunk” pushes the overall album further away from the Alternative Hip-Hop genre with its blues-inspired bassline. In a classic fast tempo, WATSKY is allowing himself to accentuate what made him famous in the first place — his fast rapping. Contrasting its upbeat rhythm, the lyrics to “Mean A** Drunk” tell a story of the discovery of a not-so-glamorous side of a lover. “No Complaints, No Conversation” is everything I want to say when I’m asked, “How are you?” or “Tell me a little about yourself.” It’s essentially a diary entry spoken over a catchy tune, played on what sounds to be a synth — my favorite track on the album. Listening to “Feels Alright” is like listening to an emotional breakdown: uncomfortable intensity, anxious screaming and eventual release into bliss — a necessary evil for mental health. Over harsh drum beats, WATSKY raps lines that would crush childhood dreams and create uncontrollable laughter. Every chorus he asks, “Does it feel f****d up?” until the last repetition rings out and rich, smooth guitar plays the outro. “Feels Alright” stands out the most in terms of its sound, but it certainly fits with the theme if you place it in the self-love category; it’s healing to expel all of those chaotic thoughts. “Limo for Emos” tells a story of exposing negative feelings to others and finding comfort with those who feel the same. It just has a sweet sound to it as well as sweet lyrics, reminding the listener that they’re never alone. “Whitecaps,” a reference to a wave with a white crest, lends a bittersweet ending to the album, about a love lost at sea — one that just won’t work. The entirety of “COMPLAINT” discusses love in a good and bad light, but the quality of the content is purely good. To reiterate, WATSKY used “COMPLAINT” to try new sounds differing drastically from any of his past albums and to showcase previously unrevealed talents he worked to improved. “COMPLAINT” is a crucial step for WATSKY for his growth as an artist because experimenting makes it impossible for him to be pigeonholed.